The coating is typically applied electrostatically and is then cured under heat to allow it to flow and form a “skin.” It is used to create a hard finish that is tougher than conventional paint. 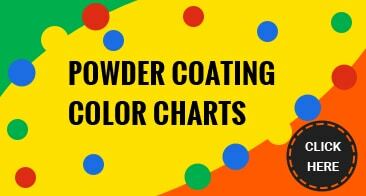 Powder coating is mainly used for coating of metals, such as aluminum extrusions, and automobile and Motorcycle parts. Powder coatings emit zero or near zero volatile organic compounds (VOC). Environmentally friendly. Powder coating overspray can be recycled and thus it is possible to achieve nearly 100% use of the coating. Also environmentally friendly. Powder coat application produces less hazardous waste than conventional liquid coatings. Powder coated items generally have fewer appearance differences between horizontally coated surfaces and vertically coated surfaces than liquid coated items.